Ken is an educator, writer, and former business owner. Born in Indiana (so an Indiana Jones), he’s lived most of his life in California where he has been a fisherman for more than 60 years. He’s been married for 52 years to his lovely wife Pat, he’s the father of Mike and Kim, and grandfather to Serena, Adam, Daphne and Katie. 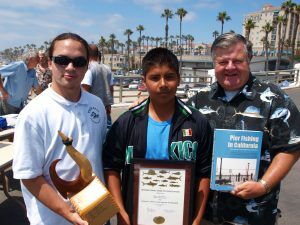 Author of Pier Fishing in California, 1st and 2nd editions, and owner/ operator of the Pier Fishing In California website (pierfishing.com), he’s earned the title head “pier rat” in the state. He’s fished on 127 saltwater piers in California and caught 130 different species from those piers. If the Carquinez Strait/West Delta piers are included, it would be 135 piers and 139 different species. 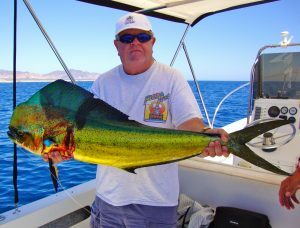 As well as a book author, Ken’s written for many magazines including Western Saltwater Fisherman, California Angler, Western Outdoor News, Fish Rap Newspaper and Fish Taco Chronicles. Ken has been involved with a number of fishery issues in California and has served on a number of committees including the California Bay-Delta Sport Fishing Enhancement Stamp Committee (BDSFES), California Marine Life Protection Act (MLPA) North Central Coast Stakeholders Group, California Marine Life Protection Act (MLPA) Statewide Interests Group (SIG), California Ocean Uses Atlas project for Northern California, Southern California and Central California (NOAA), California Recreational Fish Implementation Team (NOAA), Recreational Fishing Regional Roundtable,(NOAA), and Recreational Fishing Alliance Advisory Board. He recently attended the Marine Resource Education Program (MREP) Fishery Science Workshop. 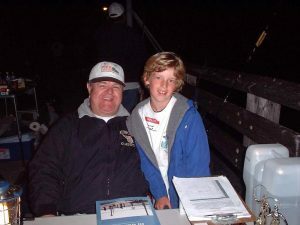 United Pier and Shore Anglers of California (UPSAC): Founder, President and Board Member, 2003-Present. Outdoor Writers Association of California (OWAC): Past President, Vice President, Board Member and current member. Ken graduated with a B.S. in Organizational Development from University of San Francisco and a M.S. in Education from Dominican College, San Rafael. Selected articles written by others which reference Ken Jones.